Download the Imagize technology backgrounder. 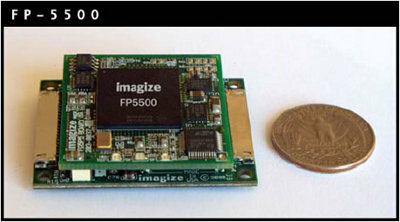 During the last decade, Imagize has continually refined image processing technology in order to achieve the greatest processing power in the smallest, lightest, package requiring the lowest possible power consumption. 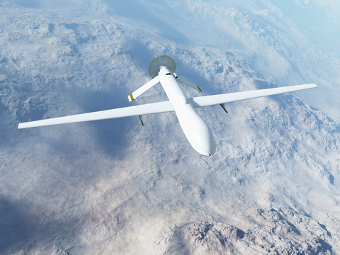 We have achieved a high frame rate, high-resolution, broad dynamic range technology that is implemented in a variety of the most demanding portable image processing applications in satellite, UAV and helmet-mounted environments. Our abilities to optimize size, weight and power are derived from concepts gleaned from biological image processing where efficiency of processing power has been refined by nature over millions of years. It is striking to recognize that our own image processing capabilities, providing us with faithful representation of a visual world that encompasses an enormous range of luminance and contrast levels, is accomplished with neurons that have at most a 6 bit pixel depth. We have translated many of the mechanisms that are employed in biological image processing into engineering principles incorporated into our designs. 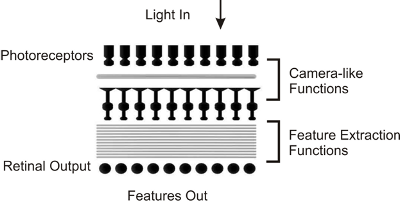 For example, retina, a multi-layered neural image processing engine can be thought of as two engines in series. The first engine at the outer retina performs much like the front end of a camera adjusting global both global and local gain, on a pixel by pixel basis, in order to place the greatest contrasting image within the dynamic range “sweet spot” of the inner retina. Then the inner retina takes over adjusting contrast gain, then extracting information about motion, direction, boundaries, texture, and looming, while suppressing the retinal output during saccades. The inner retina also allows for distinguishing between small movements in the visual environment and retinal drift. 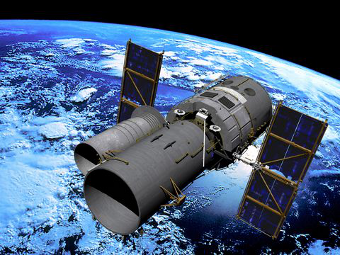 Many of these capabilities are required in a dynamic image processing environment where image enhancement, image stabilization, contrast gain, and feature extraction are required. Borrowing from nature’s solutions to these problems has allowed us to generate powerful and efficient image processing products. 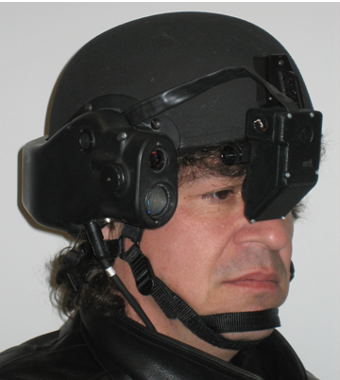 UAV’s helmet mount and satellites require high performance compact low power image processing engines. © 2011 Imagize LLC. All rights reserved.